In February, construction began to enlarge and improve the pavilion area and add handicapped-accessible restrooms, office and storeroom. In memory and in honor of Helen Harris Arnold (a Harris descendant), the Harry M. Arnold, Jr. family contributed so much to make this amazing improvement possible. 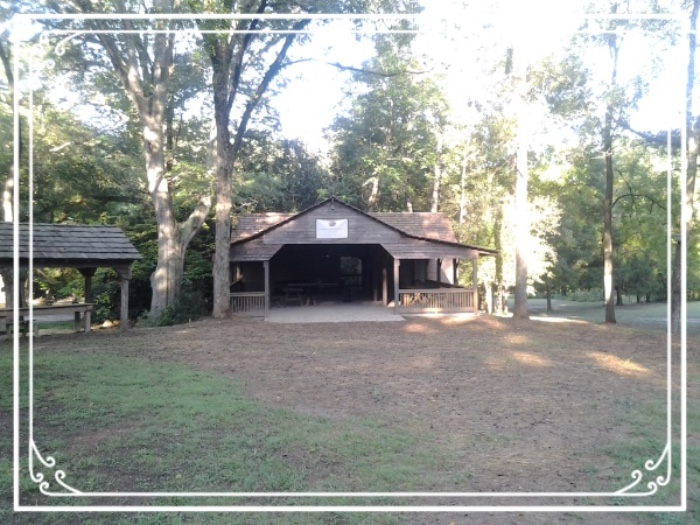 There will be a Dedication Ceremony on October 8, 2016 of this new Pavilion. 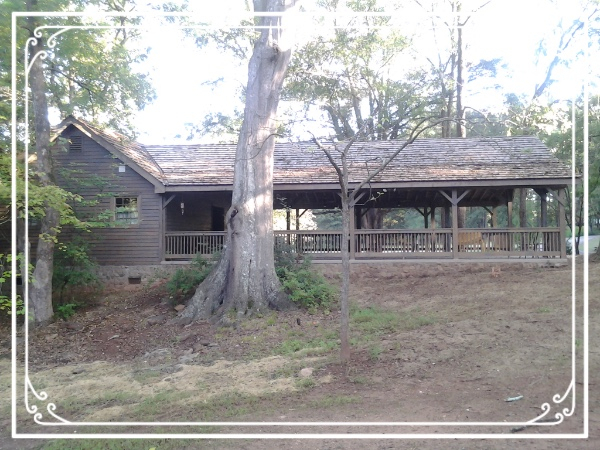 This wonderful addition to the Homestead property will make heritage educational meetings and projects, parties, wedding receptions and events more comfortable and accessible to all. 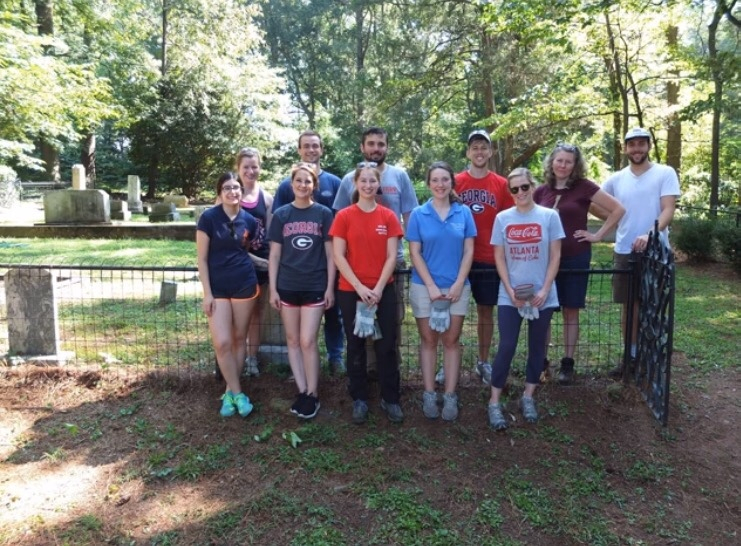 Other funding for this project came from the Charles M. Walker Foundation, Hubert L. Harris, Jr., and other Trustees of the William Harris Homestead Foundation, and Mrs. Stephen Wakefield. 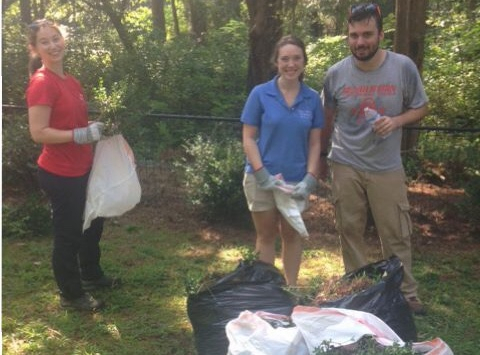 Contributions from major sponsors of Heritage Day 2015 helped with this project–Above All Tree Service, East Georgia Genealogical Society, Walton Wellness, Akins Ford Winder, Athens First Bank & Trust, Bates Carter CPA Gainesville, Connell Printing, Historical Society of Walton County, Precision Planning, Inc., Spring Street Studios, and the Walton County Farm Bureau. 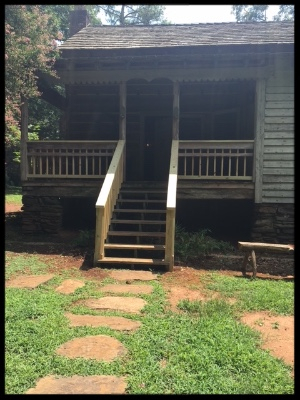 Landscaping will be provided by a grant from the Iris Garden Club, Atlanta, GA.
Nestled among the hardwoods, the Helen Harris Arnold Pavilion looks as if it has been a part of the Homestead forever. Providing space for 150, this new reception and meeting space is perfect for any event! 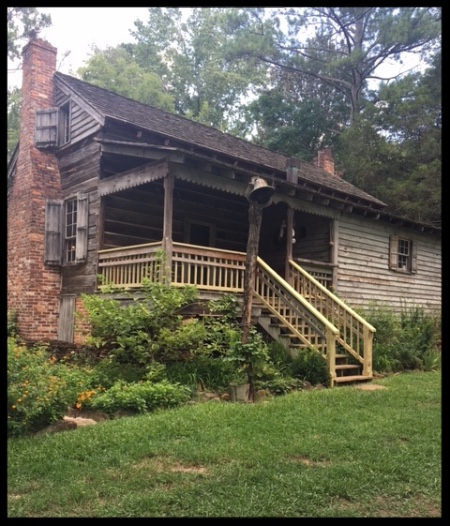 The William Harris Homestead received a $4200 grant from the Watson-Brown Foundation, Junior Board, Athens Chapter, to restore the railings on the front and back porches of the log house (circa 1825) by adding balusters. 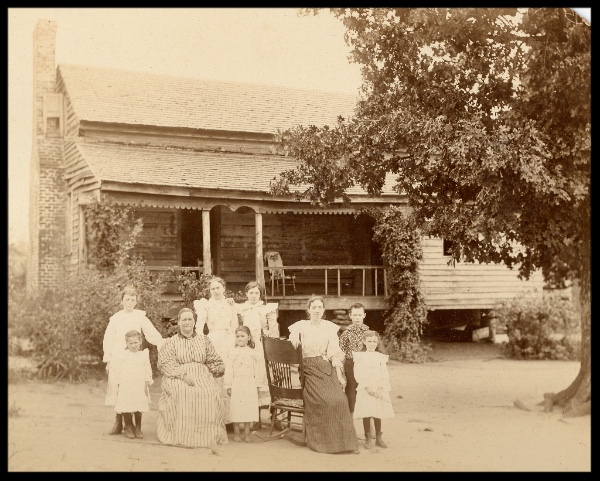 Balusters are clearly seen in the 1898 photo of the house. Also, adding the balusters make the front and back porches safer for children. This grant also provided funding to replace the modern glass in the windows of the log house with antique crown or crystal glass, which was made during the 19th century. We are very excited about these modifications to the Harris home. Many thanks to the fine young high school students on the Junior Board of the Watson-Brown Foundation for providing this bricks and mortar grant to the William Harris Homestead. Photo taken in 1898. See balusters in background. Many of the pickets are missing–the log house was around 70 years old when this photo was taken! 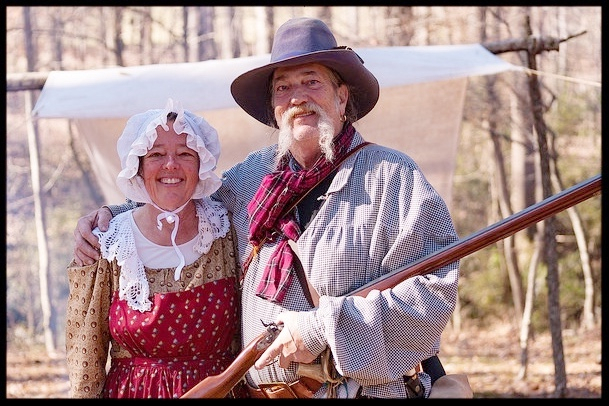 Saturday, November 5, 10 am to 2 pm, we will be hosting 18th century Georgia Frontier Day. 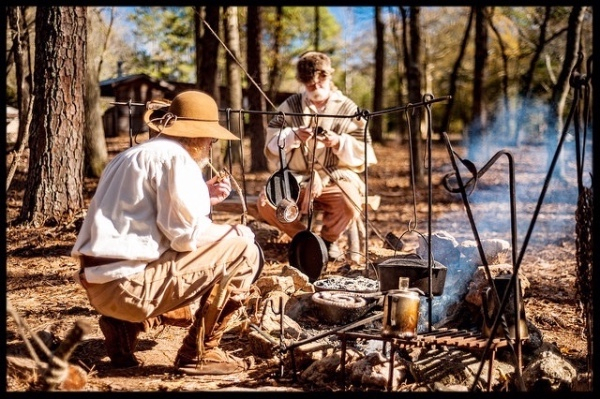 Back by popular demand, the Georgia Colonial Educational Teamwill reenact and demonstrate early colonial settlers’ skills for living in the Georgia wilderness. A fun group of reenactors will entertain and teach our visitors…led by Tomahawk Hank and Black Powder Bob and Bill. Spinning Wheel Lois and Troy the Blacksmith will amaze you with their knowledge and skill. 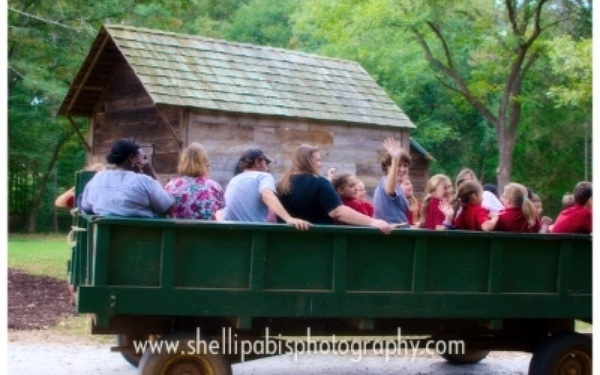 Of course, there will behayrides, and BBQ lunch will be provided by Heavens Bounty (or bring your own picnic). As always, free doughnuts from “Donuts on the Run” in Monroe will be available, while they last! 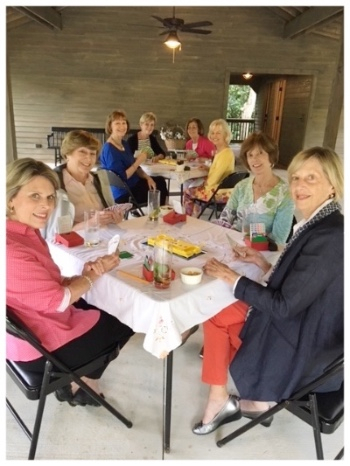 Many thanks to those attending the Robison Reunion at the new Pavilion at the Homestead this summer. As a generous “Thank you,” they donated a microwave to the new Helen Harris Arnold Pavilion kitchen. We are very grateful for this useful addition from these Robison descendants, many of whom are descendants of William and Harriet Harris. See you in June, 2017! 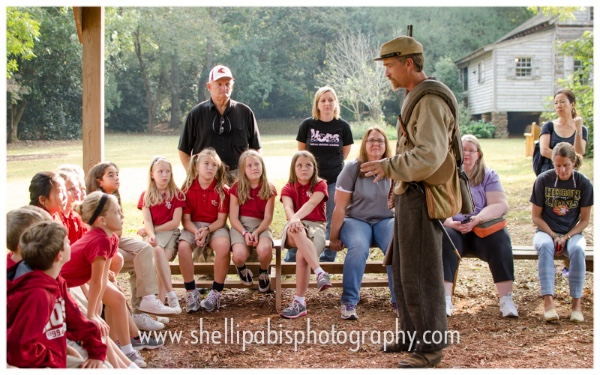 Get on board for the fall field trip program, A Day in the 19th Century. 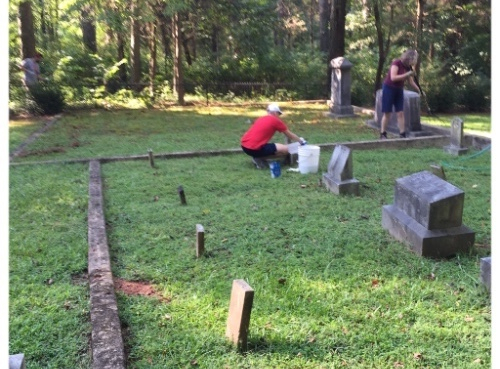 Filling the day with fun and learning, the program brings Georgia history alive to elementary and middle school students. We have already begun scheduling for the 2017 spring session. 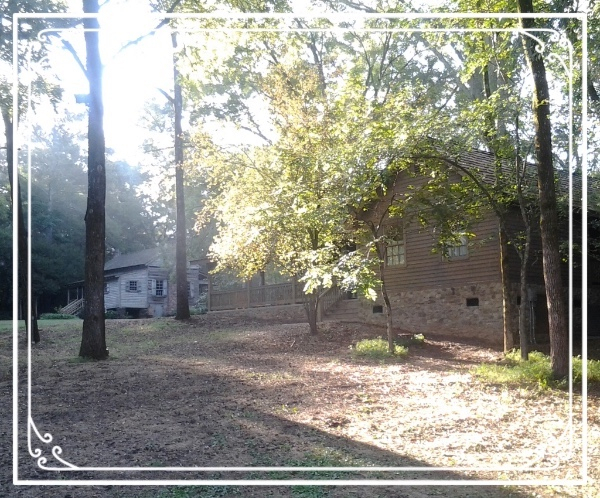 Call 770-267-5844 or www.harrishomestead.com for more information. 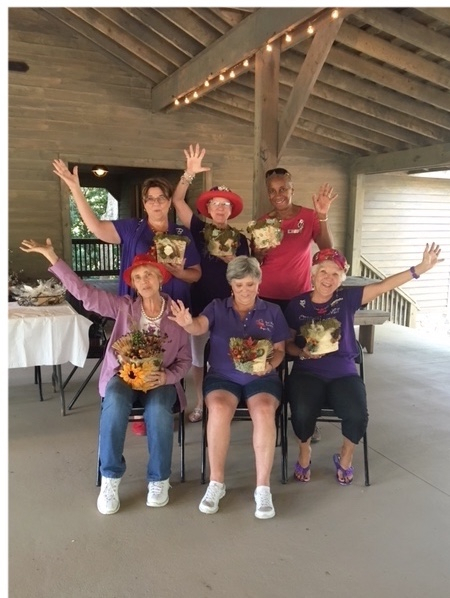 Ladies bridge day and a workshop with the Red Hat Queens! What did they have in common? A great lunch provided by the Homestead! 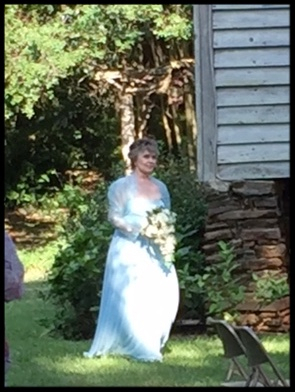 Dale Harrison’s wedding at the Homestead on September 10–a beautiful day for a beautiful bride! Mr. and Mrs. Gartrell Garrett Mr. Charles H. Perry, Jr.
Dr. and Mrs. Thomas Hawk Mrs. Pat Waldrop. Mrs. Gail Huie-Smith Mr. and Mrs. Ron Zazworsky, Jr.